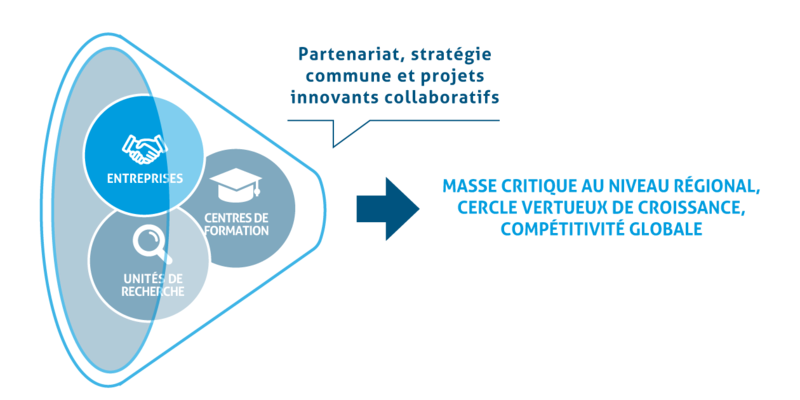 The Walloon competitiveness clusters were created in 2006 as part of the Marshall Plan and to bring together large companies, SMEs, universities, high schools and research centres with a view to implement industrial projects. The aim is to support and create business and employment. The clusters also aim to improve the international visibility of Walloon industry. Since their creation, they have achieved a real renewal of the Walloon economic fabric: they have become the central focus of a broad Walloon industrial policy with results in terms of employment, creation of new products and innovative services, as well as the creation of businesses, the conclusion of many industrial contracts and a very active presence in the international markets and networks. With 90% of turnover corresponding to exports, internationalisation is essential. One of Skywin’s main objectives is to help all aeronautics and space SMEs in Wallonia to make themselves indispensable in the advanced areas of the global market.